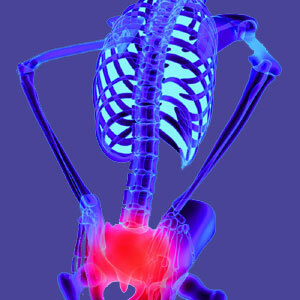 Lower back pain management practices can be constructive, destructive or even deadly. It is every patient’s responsibility to learn why pain management is a medical specialty in the spotlight of debate. If you have pain and want to reduce it, then you will likely be subjected to one or more of these practices at some point in your treatment progression. Some patients will be placed into pain management for decades at a time or until they literally die, often hastened to this premature fate by the very practices used to combat their lower back suffering. Pain management specialization is one of the most profitable and popular focuses of practice in the modern healthcare arena. The specialty attracts traditional, complementary and alternative healers from all arts and disciplines. Why are so many care providers focused on pain, rather than the underlying cause of pain? This is the crucial question that will be answered in the course of this important dissertation. This dialog examines the pain management industry. We will learn why doctors are now content to manage pain, rather than end it. We will also explore the reasons why patients sign off on this path, when they could fare much better if they simply knew that they had many more options. Finally, we will provide our recommendations on the very best pain management practices if this path is truly indicated for you. Doctors learn from early in their educational journeys that treating symptoms is poor medicine and should only be reserved for cases where cures are literally impossible. While doctors understand this truth, the lesson is usually lost immediately as soon as the doctor goes into practice and realizes the incredible profit potential of symptom-based care. If you can provide an effective cure, then a patient comes to consult, is cured and leaves, never to be seen again. This undercuts the profitability of medical practice considerably and makes such things as advertising into ridiculous and impossible to recoup expenses. However, if you can make every patient into a returning customer, then you can milk them for the long haul, making significant sums of money for very little time or effort, over many years time. This is the exact real objective of all forms of symptomatic care and pain management, in particular. 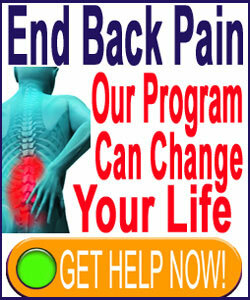 Pain reduction practices have become so popular that the specialty is now the fastest growing in the medical industry. There are more doctors now training to become pain managers than there are doctors who attempt to cure pain already in practice. This is a frightening statistic, but should be no shock considering the business side of healthcare has become more important than the human side. Pain management attracts traditionally trained physicians from many backgrounds, including physical therapy, orthopedics and neurology, as well as general internists. Many complementary care practitioners have also joined the pain management crusade, including chiropractors, massage therapists and acupuncturists. Combined care practices have sprung up everywhere, all with the express mission of profiting from pain. I guess the lure of easy money from hapless victims is enough to short-circuit all of these healthcare professionals’ ethics and prior training. Every pain management modality imparts one terrible consequence above all others. None of these practices will ever provide a cure. This means that the patient will have to become a literal slave to the treatment and/or caregiver. They will have to waste huge amounts of time over many years seeking treatment. They will have to invest fortunes of money in this care and might also suffer a variety of negative health consequences as a result of their laborious efforts. Many traditional pain management modalities are based around the use of pharmacological products to provide relief. These practices might involve oral drug use or injections, but are all incredibly dangerous and toxic. Drugs are NOT good for you, despite coming from a doctor, and those of a prescription nature are generally thought to be even more dangerous then the majority of illicit drugs. Prescription drugs kill vast numbers of people yearly and injure one hundred times that number worldwide. In fact, drug therapies are the single greatest risk of seeking any type of care from any type of doctor anywhere on planet Earth. Not all forms of pain management have to be bad for you and not all practices are illogical, given particular patient circumstances that contraindicate curative care. Some patients actually need symptom-based care due to various reasons, while many others can benefit from it while seeking out the best means of enacting a lasting cure. We are certainly not bashing the industry as a whole, just making the majority of participants accountable for their many mistakes. Drug therapies are always hazardous. There is no way to circumvent the risks. The more drugs that are used, and for the longer the duration of therapy, the more these risks grow and multiply. Injection therapies demonstrate similar risks, although some substances will at least not have the same degree of collateral systemic consequences as those taken via the oral route. If pain management must be utilized, then we recommend choosing safe, constructive and even beneficial practices that can mitigate pain without undermining overall wellness. Our best recommendations include ice, heat, exercise, physical therapy, acupuncture, chiropractic, massage and the growing use of pain coaching. The last treatment selection comes with the added benefit of improving life skills and coping mechanisms, making it an ideal shorter term solution when compared to ongoing forms of symptom-based care that must be used indefinitely in order to remain effectual.